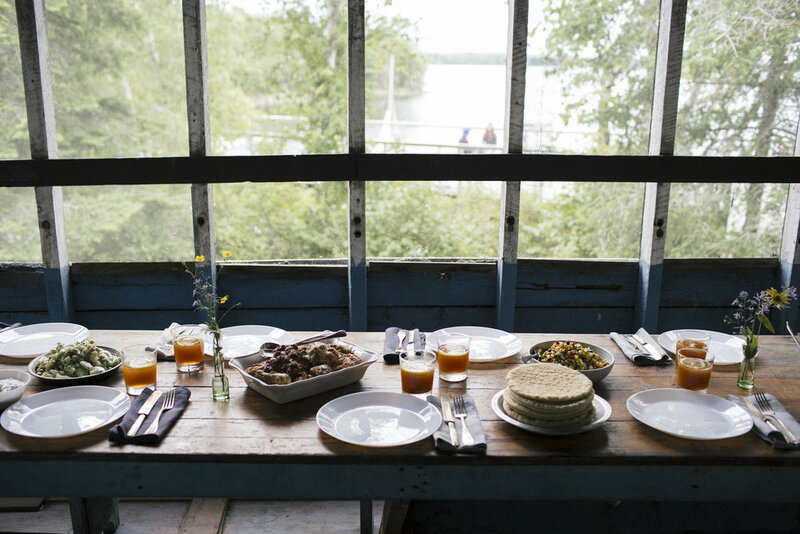 Volume – Cooking for a Community is a cookbook that celebrates the beloved recipes and community atmosphere that have profoundly shaped the experience at InterVarsity Pioneer Camp Manitoba. While growing up in rural Manitoba, it was easy to see where food came from. Cooking was an essential part of everyday life. Read more about the author and her career that led to Volume. Sharon's stories on the creation of a cookbook, being a chef, a sommelier, a wife and mother, and other topics that contribute to her life in Volume. Curious to find out more about our unique location and what we do? Visit our website for more information, or to register a child, or become a staff member for the 2019 camp season. These small-mouth bass were caught last August during our photo shoot for VOLUME! Watch our Fish Fry video to see how we fry up pike in the spring season. Indulge in a recipe from Chef Sharon as she shares sneak peeks into offerings found in Volume, and beyond. Embrace the time spent at the table together. This time can be nourishing far beyond the nutritional aspects of any meal.